While some investors may be wary about Netflix‘s estimated billions-of-dollars in spending on new and original content, one Wall Street analyst believes Netflix can back it up with its brand. Viewers often have positive feelings about Netflix movies and TV shows even before they have seen them, which should help the streaming giant keep a healthy pace in subscriber growth, Bernstein analyst Todd Juenger says. When video watchers hear Netflix is behind a movie or TV show, they most often conclude that it has to be good, or at least worth the minimal investment of time to check it out. That positive association with Netflix’s brand could be hard for competitors to beat, and could help justify its estimated $US12 billion investment in original content. “The positive brand association Netflix has created among its members provides a positive halo for its content, giving Netflix a huge advantage because members are pre-disposed to think they will ‘like’ Netflix content, which usually becomes a self-fulfilling prophecy,” wrote Todd Juenger, a Bernstein analyst. With some of its recent successes, such as “Bright,” featuring Will Smith, the German production “Dark,” and the Oscar award-winning documentary, “Icarus,” Netflix has proven that it produces original content that will keep driving new and loyal subscribers back to its platform. This is also helping the video streaming company draw some key Hollywood talent such as Ryan Murphy, the man behind “American Horror Story” and “Glee,” and Shonda Rhimes, the producer behind such hits as “Grey’s Anatomy” and “Scandal.” The fact that Netflix is able to pull such high-profile names also keeps them away from competitors, Juenger notes. 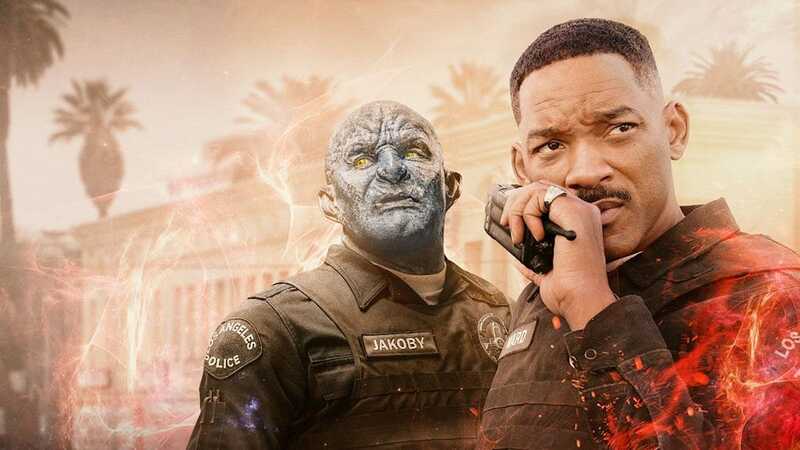 “While the price tag is high, the value of a ‘hit show’ for Netflix is also high, and it’s nice to have your $US12 billion in capable hands,” Juenger said. Netflix plans to spend billions of dollars on roughly 700 new original TV shows in 2018 as part of its strategy to build “a global moat” that would widen its competitive advantage, according to another Wall Street analyst. Netflix was up 3.78% on Friday at $US328.84 per share. It was up 63.62% for the year. 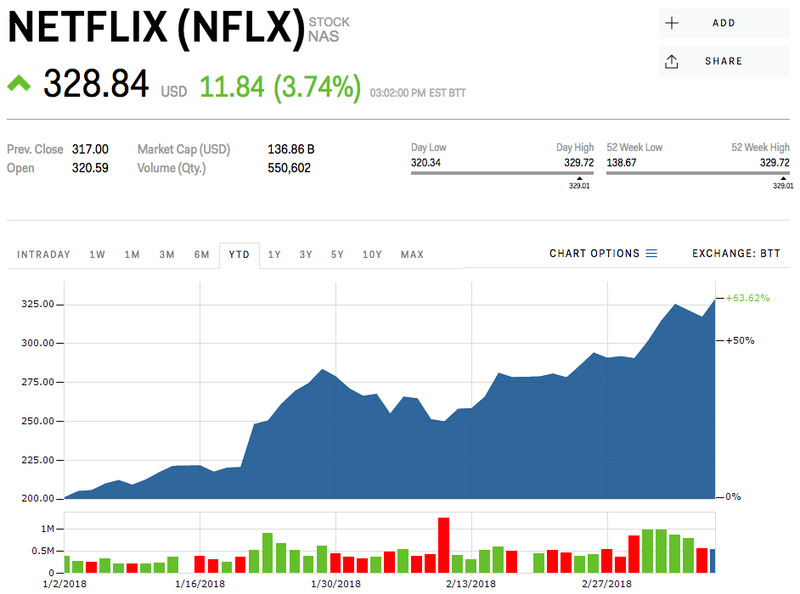 Read more about why Netflix may be the best performing FAANG stock this year.